Lots o’ fun in store for Christmas in Sydney! Christmas is in the air in Sydney what with folks shopping, planning and generally getting ready for Christmas. The Town Hall will be lit up for four weeks reflecting the festive mood of the season. Wattle blossoms, kookaburras, blue bottles, flying foxes and echidnas –the images of Australia will be projected in a cycle on the magnificent facade of the Town Hall for twelve days to add to the colour and the general carnival atmosphere of the city! The giant Christmas tree (21 metres tall) will be lit up with around 58,000 LED lights and over 300 seven pointed stars spreading the joy and spirit of Christmas! Kids’ favourite entertainment shows will be performed live, and with Santa, carols, music, jazz bands and all, the season of Christmas is a season of fun for kids in Sydney! It’s, however, not just kids that have all the fun. 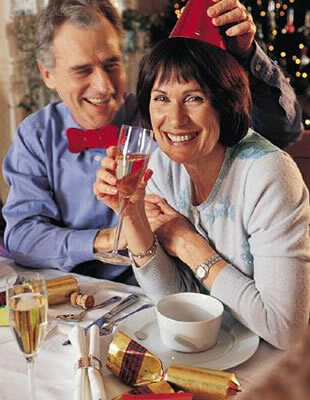 There are numerous events for Christmas for the young and the youthful and all the rest! The fireworks are just about everybody’s favourite and while enjoying the fireworks of Christmas, folks at Sydney gear up for the fabulous fireworks of the New Year’s Eve that Sydney is famous for! Other options are dining, dancing and cruising – all with a dash of romance, of course! Like everything else in Sydney, Christmas celebrations , with their Australian themes and Sydney attitude, have that special tang that is unique to Sydney!